More than 400 delegates attended the second Middle East & Africa FinTech Forum in Manama, Bahrain, today. 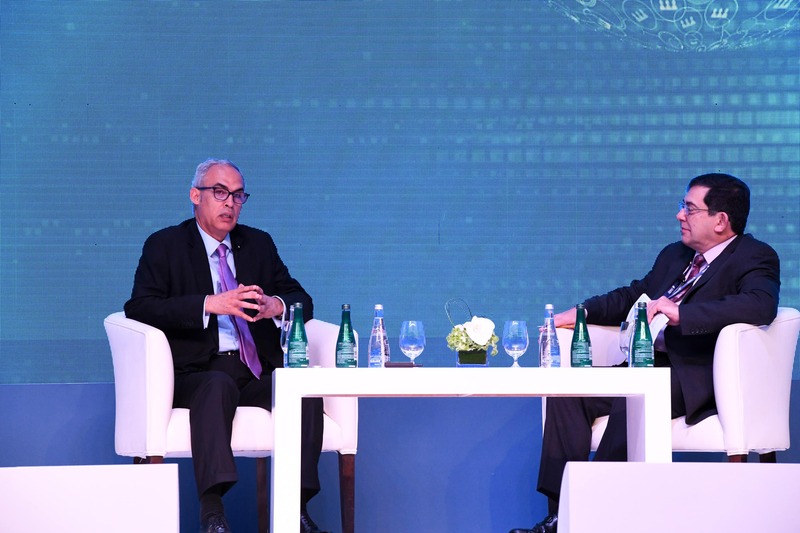 The forum was held under the theme Beyond Disruption under the patronage of the Central Bank of Bahrain and hosted by Bank ABC and Arab Financial Services (AFS). HE Rasheed Al Maraj provided his own perspectives on FinTech related issues and the impact of the new financial technology on banking and finance, referring to Bahrain’s proactive role in supporting FinTech initiatives. 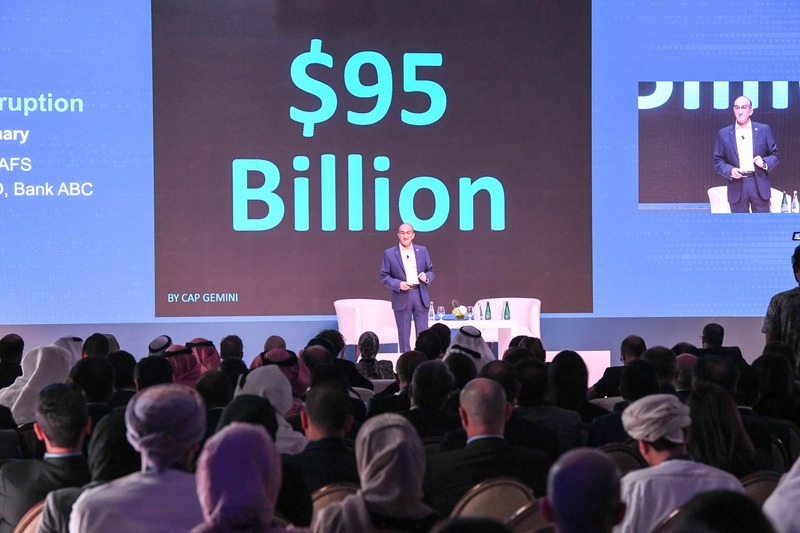 In his opening speech, Mr. Al Waary illustrated the elemental shift in the way financial services industry is now responding towards FinTech. “Banks have shifted their mind-set and are viewing FinTech and opportunity rather than a threat. More and more banks are embracing FinTech and are catching up very quickly,” he commented. Mr. Al Waary also explained how traditional or legacy banks are responding with a defensive strategy by creating “mobile only” banks or “app only” banks, leveraging their existing infrastructure and regulatory status to enhance the customer experience and attracting new customer segment. Mr. Al Waary concluded by emphasising on the need for collaboration between banks and FinTech start-ups, which would combine capital and innovation, economies of scale and agility, customer data and customer experience, regulatory and technical know-how. “I have always believed that disruption is a catalyst of change and opportunity…. at AFS we are optimistic about what lies ahead,” he said. Mr. Anthony Thomson, Founder and former Chairman of Atom Bank and Metro Bank, summarised the opportunities and challenges facing challenger banks. Opportunities include customer dissatisfaction with traditional banks, changing customer behaviours and ability to utilise lower costs of technology and data storage. Challenges are summarised in the ability to gain trust, innovate and securing capital. Mr. Michael Jordaan, Co-founder of Bank Zero and former CEO of First National Bank, said the disruption in the financial industry has already happened and that only the innovative will survive. He said the new financial technology can provide solutions to issues related to customer fees, remittances, paperwork, microcredit, online payments and fraud. Mr. Greg Cross, Chief Business Officer of Soul Machines, talked about how emotional intelligence is evolving to emotional intelligence. He illustrated how machines today are being made more human with a virtual nervous system. Digital DNA will create a population of millions of Digital Humans. Mr. Alastair Lukies, Founding Partner Motive, pointed out that in only 15 years ago, the world’s largest companies by market capitalisation were industrial, financial, retailer and oil companies. Today the top companies are mobile and high tech companies. Mr. Alex Tapscott, Co-founder of the Blockchain Research Institute, outlined the key prospects of blockchain technology, including protecting rights through immutable records, ending the remittance fees, protecting privacy, and ensuring compensation for the creators of value. Mr. Jim Mauris, Founder and publisher of the Digital Banking report, said the fast changes in the financial industry, fuelled by the power of big data and cognitive learning, requires banks to take specific actions to survive. These actions include focusing on the customer, becoming data driven, using design engineering, building digital first, partnering with leaders, and being agile and flexible. Mr. Eileen Burbidge, Co-founder Passion Capital and UK Treasury Special Envoy for Fintech, provided a perspective on the initiatives needed to enable innovation. These included fostering a culture of collaboration, encouraging customer centric services, making the economic case for increased financial inclusion and forcing diversity of thought and experiences to create best products and services. Finally, Mr. Justin Sykes, Founder and CEO of Innovest Advisory, provided interesting statistics and perspectives on financial inclusion, with around 2 billion people around the world with no bank accounts. He said FinTech can increase accessibility and affordability of financial services, and mobile money holds significant promise, particularly in developing economies. Globally only 2% of adults have a mobile money account, and more than 7.1 billion mobile connections exist globally, with 80% in the developing world.